With one of the most relevant voices of this generation. A sound that reaches the heart of young as well as the old. 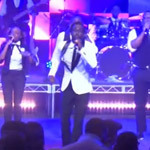 Tye Tribbett creates a dynamic new caliber of music. His music cannot be classified as one genre, but his unique abstract way encompasses all. 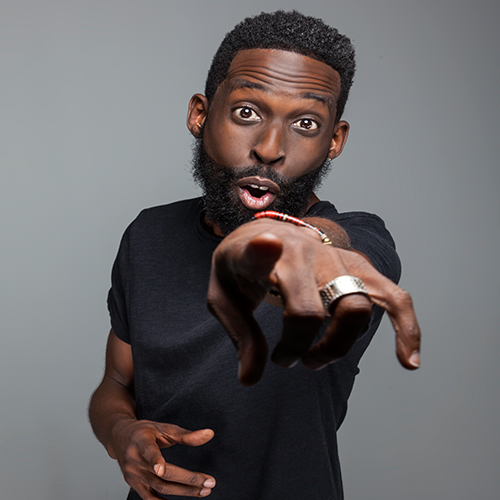 After independently establishing a core fan base of thousands who would came to their local shows and even hundreds to their rehearsals, in 1997, Tye Tribbett, the founder of G.A (also known as Greater Anointing), entered the group into the McDonalds and Wrigley’s Gospelchoir competitions in which they “swept” winning 1st place in all categories. Tribbett astonished the audience and judges with his incredibly high energy. Tribbett’s jumps are so high and his performances are so captivating that in 1998 he got the attention of multi-Grammy award winning producers, Buster and Shavoni, who were producing the soundtrack to the DreamWorks animated film, The Prince of Egypt, in which Tribbett and his group performed “Let Go, Let God” with Multi-Grammy, Soul Train, and American Music Award winning duo Mary Mary. It was the movie soundtrack that catapulted Tribbett into the industry, not the gospel industry. Tye Tribbett and G.A. found themselves sharing the stage and singing background with the likes of Gloria Estefan, LeAnn Rhimes, Elton John, Luther Vandross, and Stevie Wonder! As the group performed the audience was captivated and mesmerized. One person in particular was the Multi – Award winning mega producer, David Foster. Foster invited the group on stage at his annual “City of Hope” event at Universal Studios in Hollywood CA. Tye and the group song background for Faith Hill who was so amazed that she couldn’t “let Tye’s energy go”.” Hill asked Tye to accompany her along with his group, on her Soul to Soul Tour, which featured her hubby Tim McGraw. Shortly after, Tye and G.A. accompanied Don Henley on his “Inside Job” Tour singing additional backgrounds. Between the years of 1999 and 2005, Tye Tribbett and G.A. made their mark in the music industry, performing with Jill Scott, India Arie, John Mellencamp, Music Soulchild and The Roots. They also appeared on Commons’ “Electric Circus Lp”, Jessica Simpsons’ Christmas project, Will Smiths’ latest CD, on a song featuring Mary J. Blige, and also Justin Timberlake’s “Cry Me A River”. Tye, who is also an accomplished musician playing multiple instruments, was accompanying Columbia Records top selling artist, Vivian Green at a showcase. When Tye left the building that night, he himself had a deal with Columbia! Donnie Lener of Columbia Records was amazed at the musicianship, Performance, and energy of Tye and G.A. and gave them a shot at their own project! In 2009 after four records, Tribbett decided to retire GA, releasing them to pursue personal goals and dreams while he auditioned new background singers. With a new look, new music, new administration, new style, new EVERYTHING! Tribbett released his greatly anticipated 4th release “FRESH!” Tribbett’s project, “FRESH”, presented another facet of his evolution. He challenged the ears of contemporary gospel listeners and inviter the ears of every other genre to embrace a new sound of Kingdom Music. Music that glorifies God. Today, Tye Tribbett exists as that radical entertainer who is shattering the mold of what is traditionally known as gospel music. With one of the most relevant voices of this generation and a sound that reaches the masses, Tye Tribbett creates a dynamic new caliber of music. Often heralded as the “Elvis of Gospel”, Tye has already impacted the genre in such an extraordinary way that has him consistently mentioned amongst gospel greats Donnie McClurkin, Israel Houghton & even Kirk Franklin. His high energy, powerful, and infectious music, has helped redefine gospel music, and earned him two #1 albums, two Stellar Awards and three Grammy nominations. Currently fans worldwide are raving over Tye’s 2013 release Greater Than which quickly impacted the world of music debuting at #1 on Billboard’s Top Gospel Chart #9 on Billboard’s Top 200, #4 on iTunes, and winning one Stellar Award and 2 Grammy Awards!!! !